I have to admit to being a bit put off when we first arrived in Chiang Mai. We’d got the bus down from Chiang Rai, and after that sleepy city Chiang Mai was full on. 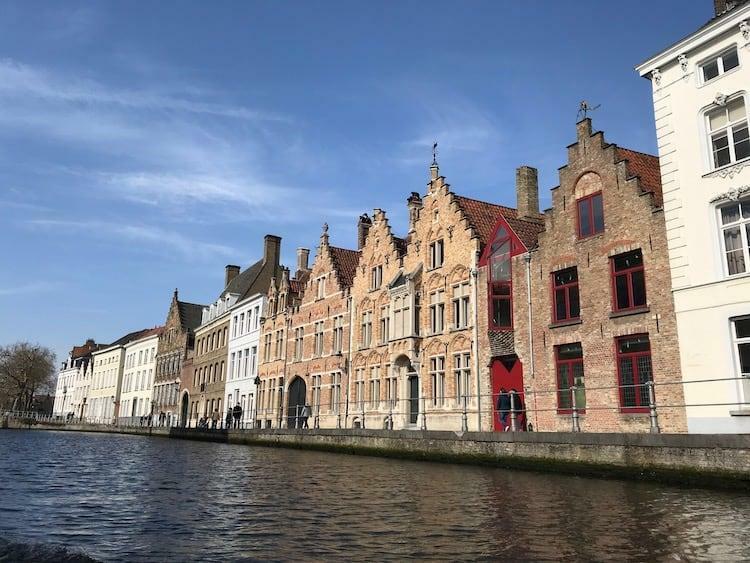 The traffic was terrible, the streets crowded and But we quickly discovered why…. We’d stumbled into the middle of a yearly festival that is unique to Chiang Mai, Inthakin or City Pillar Festival. I love to be in control and organise, but this sabbatical has taught me so much about letting go and seeing what happens. Nowhere was this lesson made clearer than here. I’ve often planned the life out of trips, leaving nothing to the unexpected, and avoiding surprises. 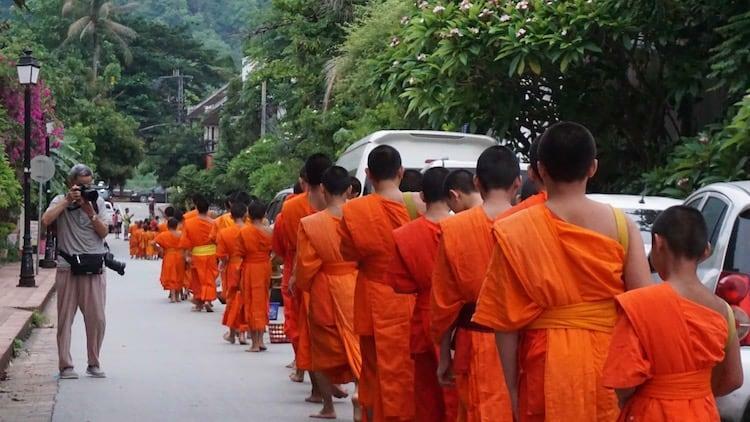 But in Chiang Mai, we’d turned up with few plans, little research and no itinerary, only to arrive at one of the most important times of the year for the city. I’m not saying you can leave everything in travel down to luck, but sometimes, when you just open your eyes and slow down your brain, something wonderful happens. And today it happened to us. We were in the right place, at the right time, and all we had to do was sit back and take it all in. 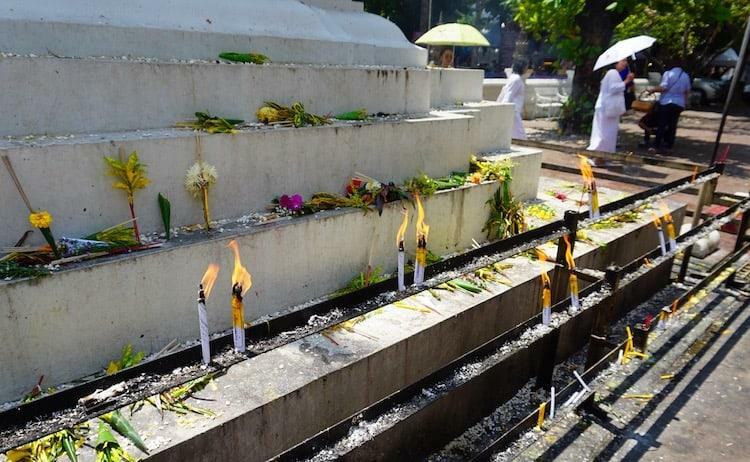 A lunar month is about 29.5 days and is used in Theravada Buddhism to mark out religious occasions. It essentially synchronises the calendar with the moon, with a month starting when the moon is new, and the middle of the month being the full moon. Due to the moon cycle being 29.5 days, the calendar is split into alternating 29 and 30 day months to keep it in sync. A waning moon is when it is moving from a full moon to a new moon. If you hadn’t seen the moon on two consecutive days, you can tell if the moon is waning as the light will be on the left hand side (for the northern hemisphere only, this effect is reversed in the southern hemisphere). 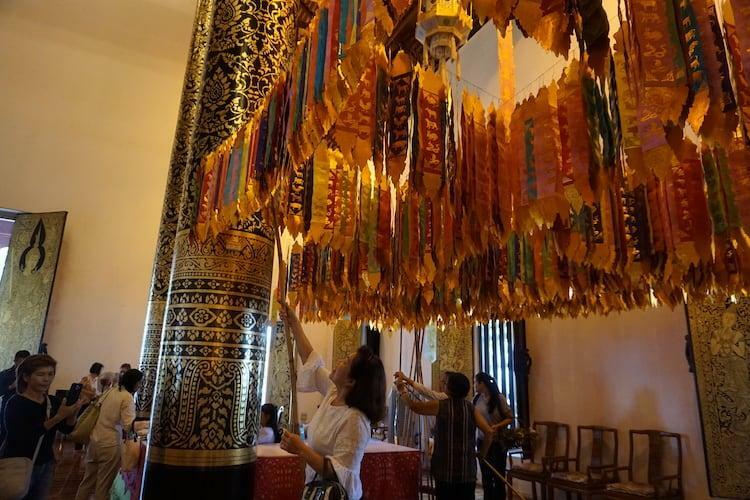 City Pillars are very important in Thai culture, housing the guardian spirit of the city, which protects the residents. As far as I can tell though, Chiang Mai is the only place in Thailand to actually hold a City Pillar festival. 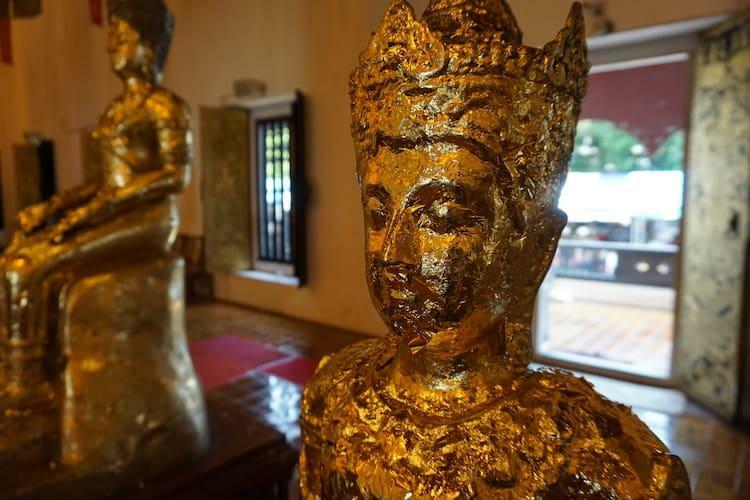 For that we need to look a bit at the history of Chiang Mai…. 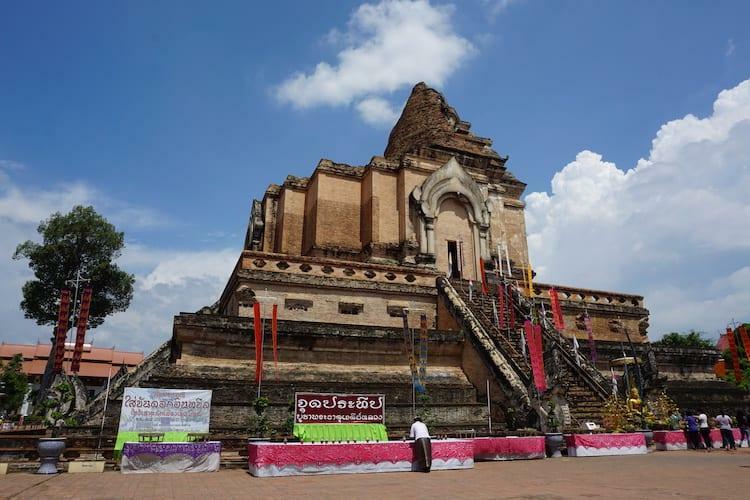 Chiang Mai was founded in 1296 to be the capital of the Lanna Kingdom by King Mengrai. 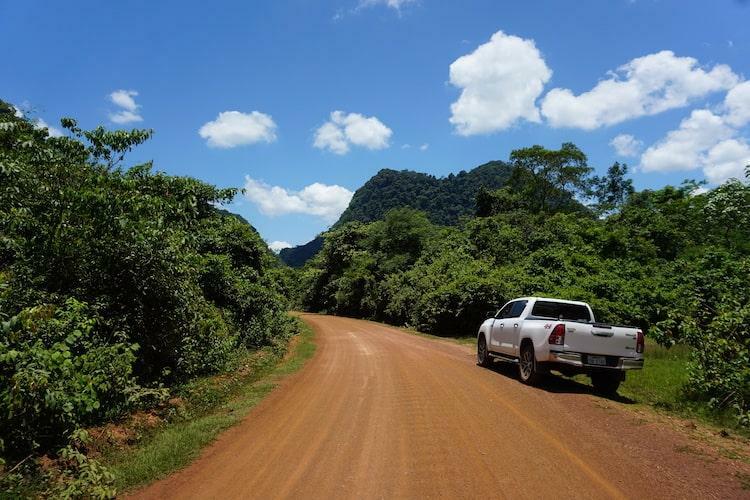 The Lanna Kingdom covered much of what we now know as Northern Thailand, and parts of Myanmar. For 250 years it defended numerous attacks from the Burmese in the west and the Siamese to the south. In 1557 the city was finally overthrown by the Burmese, and incorporated into their kingdom. It spent just over 200 years under Burmese rule, when in 1774 it was liberated with help from Siam. 100 years later it was incorporated as a province of Siam, which in 1949 changed its name to Thailand. It was during the overthrow and subsequent liberation of Chiang Mai that the City Pillar gained such importance. It was felt by local people that not enough respect had been shown to the guardian spirits, which had contributed to the fall of the city. When reconstructing the city, Prince Kawila paid particular attention to this feeling, moving the city pillar to its current location, and building a special pavilion to house it. He also planted three large trees right beside the pavilion. Local legend says that, if the tree nearest the pavilion falls, then the city will once again be taken over. Let’s hope they haven’t got any drunken tree surgeons in town! The first we knew something was going on when we bumped into a tailor from Bangkok at Wat Jedlin. 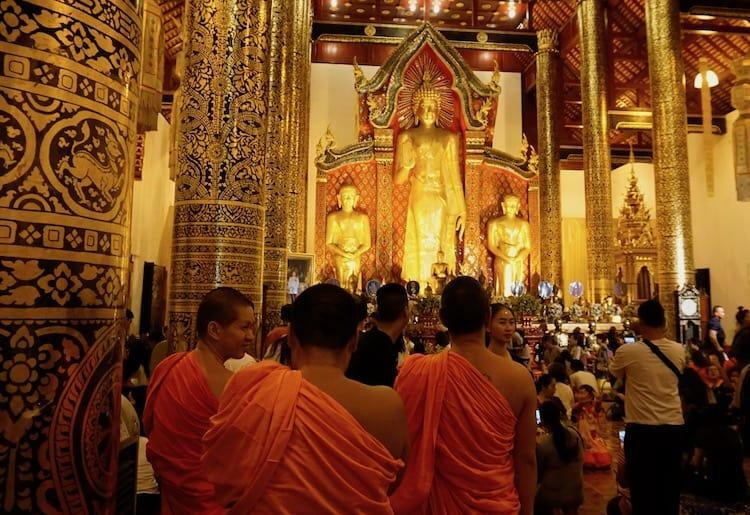 He explained that there was a festival currently being held in the city, and that tonight was actually the last night of eight days of celebration. It was the middle of the day, but we headed on to the centre of the city to see what was going on. The main area around Wat Chedi Luang, which incorporates the City Pillar, was heaving. There was music playing, incense burning and stalls being set up ahead of the big final evening ahead. There were lots of schoolchildren around, presumably let out early due to the festivities, and they were helping their parents with their duties – from preparing food and flower stalls to setting up tables selling offerings. 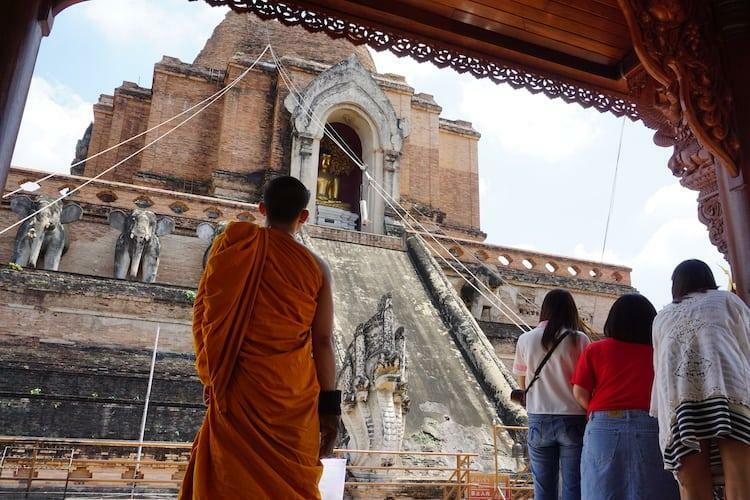 In the centre of the complex stands the huge Wat Chedi Luang, which is over 600 years old, and used to hold one of the most revered objects in Buddhist beliefs, the Emerald Buddha. On either side of this massive structure, there were ceremonies taking place that involved winching small tubes of water to the top of the chedi, and letting them splash down over the bricks. Each of these stations were manned by monks, who seemed to be blessing the water, before it was hoisted to the top by local people. We believe this was being done as a sign of respect, whilst asking for good luck. It was an impressive display of worship, and unlike anything I’d seen before. 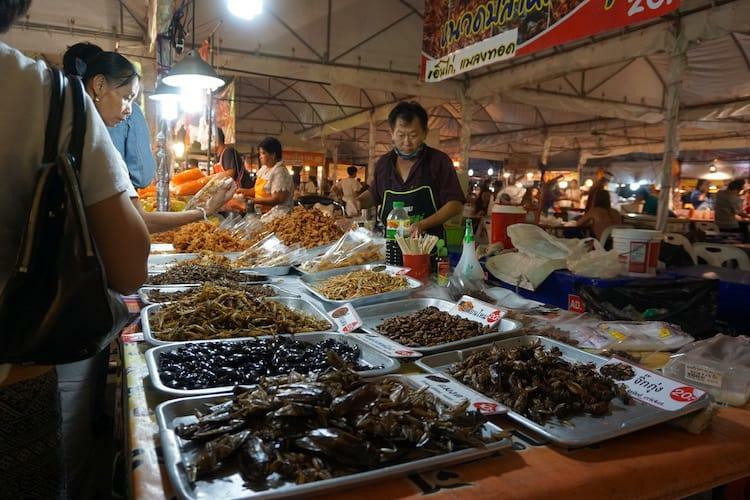 When we arrived back into the centre of Chiang Mai after dark, the place was buzzing! The main streets around the city pillar had been closed off, and everyone seemed to be heading in the same direction. We were following a small family, each parent carrying a toddler who was in turn clinging on to a basket of flowers ready to make offerings at the festival. Inside the main complex, things had ramped up again. The music was louder, the food stalls bigger and the incense smoke was thick enough in places to give the appearance of fog. In the various buildings and temples, different ceremonies and offering were taking place. The photo above is inside the main City Pillar temple. This one is men only, but despite these restrictions, the queue was still almost right round the building! In amongst the vibrant blues and greens, of the tiles, a great pile of flowers had building up, looking like the garden waste section of our local tip on a Bank Holiday Monday. The huge amount of people showing their respects meant an almost impossible job for the young lads who were trying to keep the place tidy. 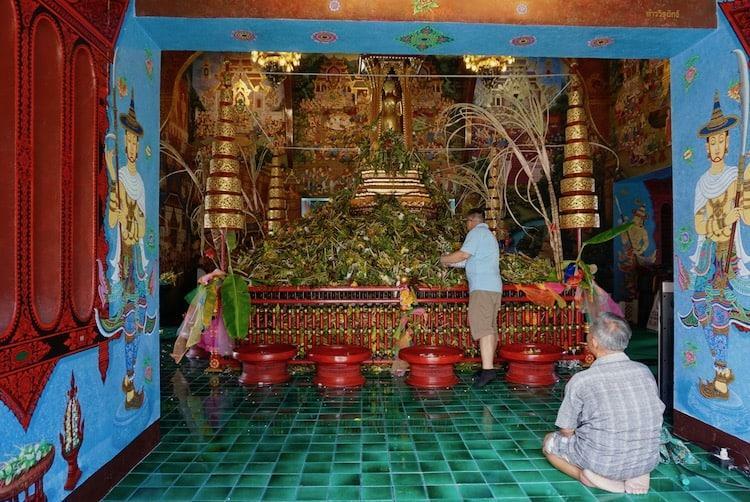 On one side men came in and left flowers behind, on the other cart loads of greenery was being removed to try and keep the temple from filling up completely! In Wat Phan Tao, a huge table had been set out amongst the gigantic teak pillars. On the table were a vast number of pots, and either side a long line was formed of people dropping coins into the round black vessels. 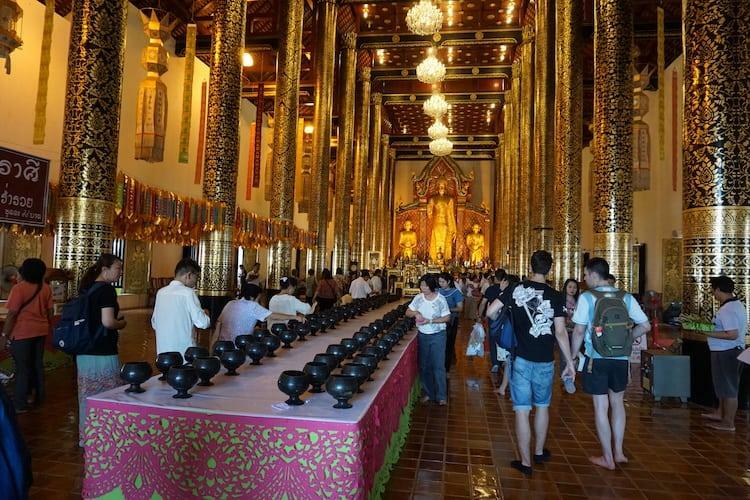 There are 108 pots in total, which is an extremely lucky number in Buddhism. Worshipers buy a tub of 108 coins as they come in to the temple, and then place a coin in each of the pots hoping for good luck. To the side of the temple was another ritual taking place that we’d not seen before. Small pieces of gold leaf were being sold, which visitors were then sticking to images of the Buddha. This is done to gain merit, or to make a wish. It created some beautiful textures and reflections, with the statues flaking like a sunburnt Brit on holiday in Spain! On the opposite side of the temple, prayer flags were being displayed, using bamboo handles to lift them high onto pre-hung wires. 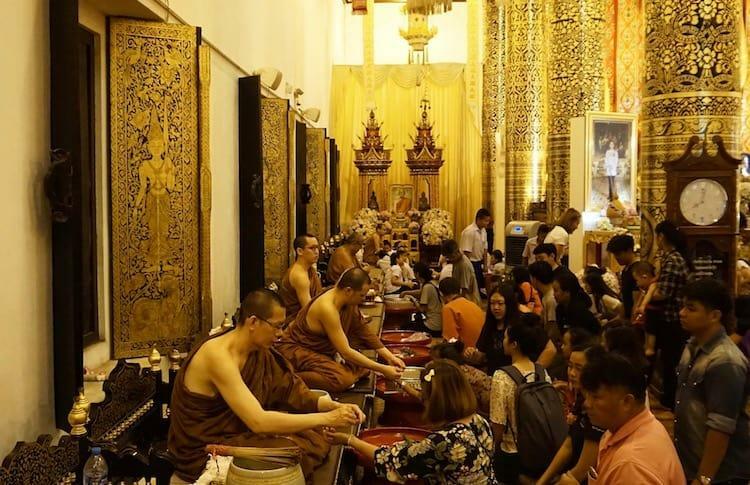 At the end of the temple, people were lining up to receive blessing from the monks, who were then tying string bracelets to to their wrists. 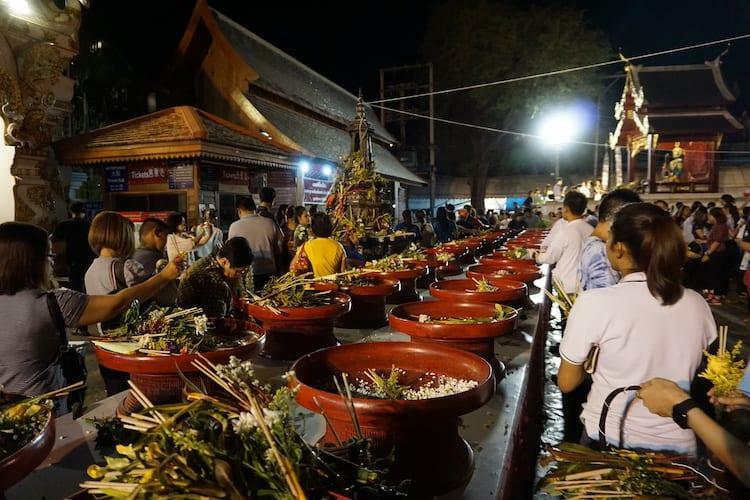 Outside, long lines of bowls were set up, into which people were making offerings of flowers. You can also see overhead, Sai Sin – the sacred white thread, which has been blessed by monks, and usually offers good health and protection to the person wearing it. In this instance I assume it was here to offer protection to the the city. Away from the main ceremonies, huge tents hand been thrown up to accommodate the food stalls. They were selling everything from nitrogen cooled ice-cream to a wide selection of bugs! We opted for neither, though did show some bravery, by trying hotdog flavoured (and shaped!) cakes! Sometimes in life planning gets everything right. Sometimes we’re just in the right place at the right time! Inthakin Festival was one of those wonderful moments where we got lucky, and felt so honoured to witness this incredible festival with our own eyes.